This is a rectangular West Penn Power porcelain sign. This particular West Penn Power sign is red, white, and blue. 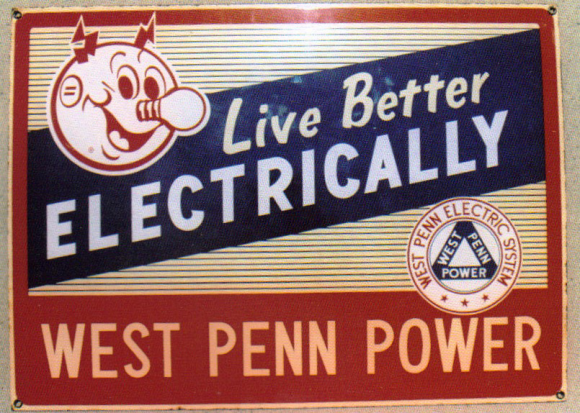 It reads, “Live Better Electrically, West Penn Power, West Penn Electric System” and features red cartoon face in the upper left corner of the sign.